The hosting service, Freedom Hosting II, was known for operating thousands of sites that were accessible through the Tor browser; the “dark web” is essentially the encrypted network comprising Tor servers and browsers. But on Friday, the service appeared to be down. Its main landing page was replaced with a message saying that it had been hacked. 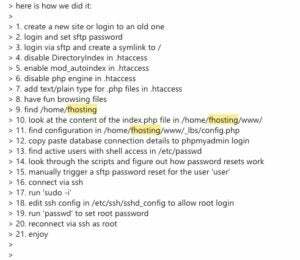 “The IP of the server has been leaked, which potentially could reveal the admin’s identity,” the hacker added. “Law enforcement will absolutely have this data, it’s very public. It also obviously has many real email addresses in it,” he tweeted.